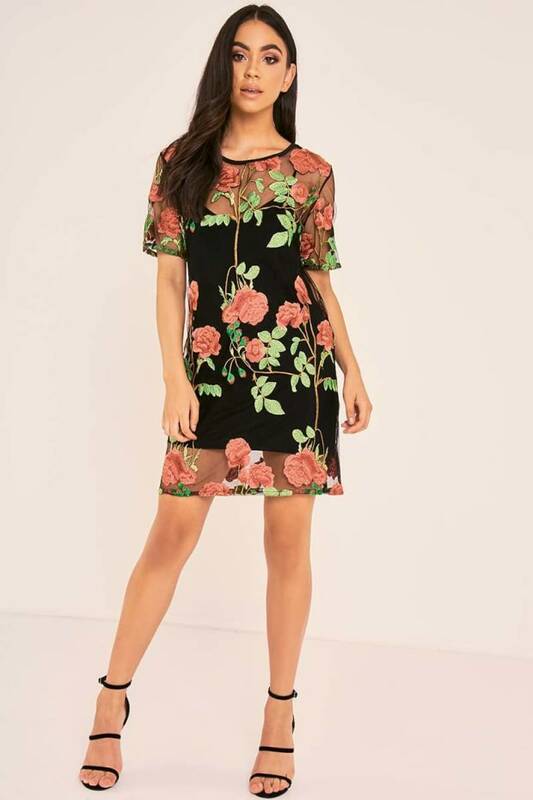 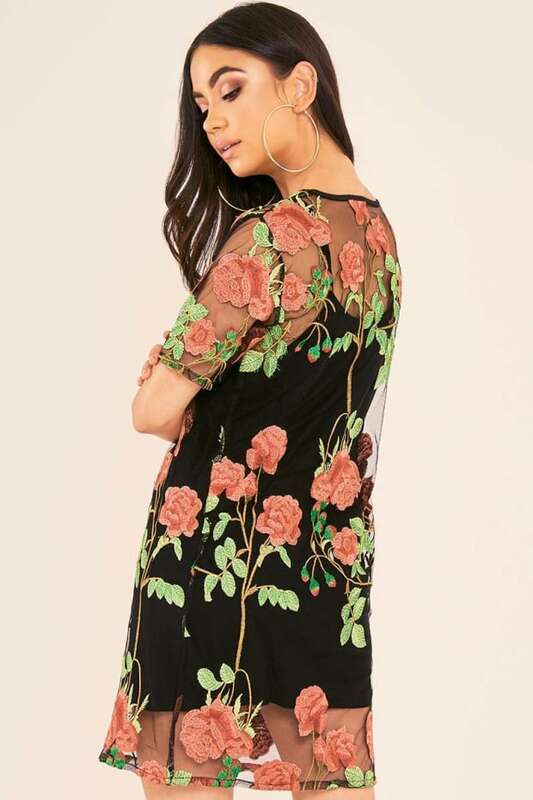 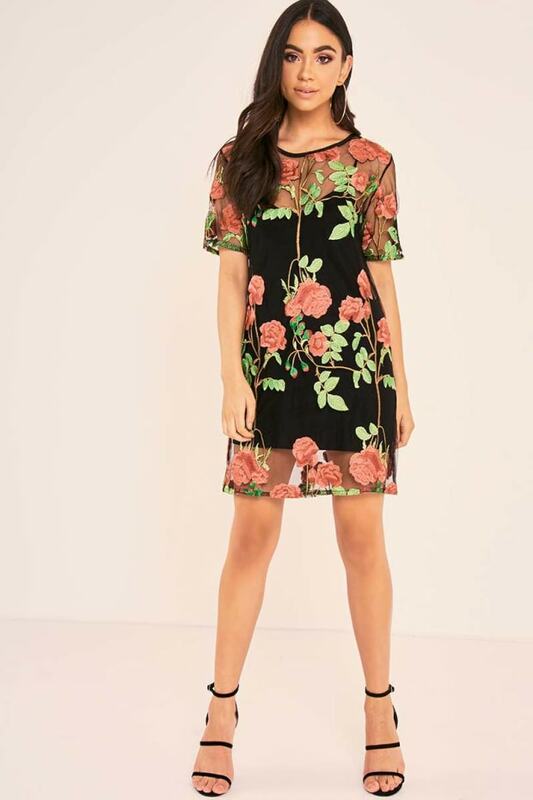 WOW this season wearing this beautiful rose embroidered dress designed by our girl Binky! 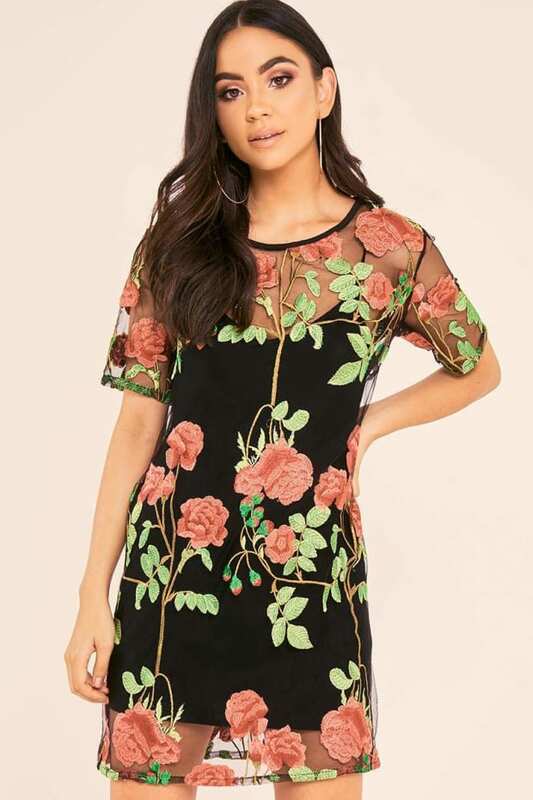 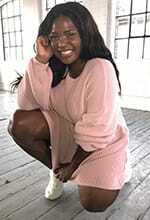 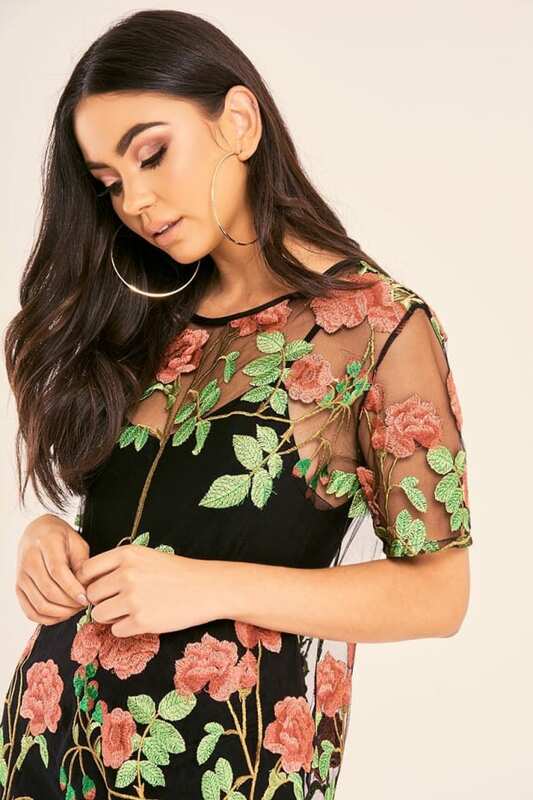 In a lust worthy black mesh fabric featuring short sleeves and black slip dress, this dress will keep you looking on fleek no matter what the occasion! 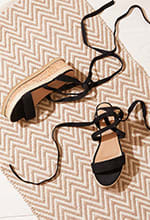 Style with strappy heels for the perfect evening look.